Too often, children get depicted as chicken-nugget-fueled, plastic-loving, unrefined maniacs. In reality, though, kids are eager learners looking to explore and make sense of the world in their own way. Being that NYC is abundantly rich in history, culture, and panache, it seems like a no-brainer kind of place to help kids along on their journey. Yet some still wonder whether they can have an affordable, family-friendly vacation in the Big Apple. But what does kid-friendly, or family-friendly, really mean, especially in a city like New York? To answer this, we asked Ellen Schmidt, of Baby Meets City. As a parent of two young daughters in Manhattan, she’s developed a few years of experience on the topic. 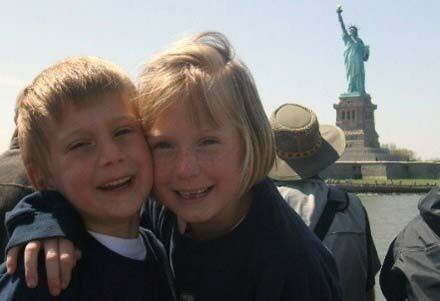 "New York City is a playground for kids and parents alike! Kid and family-friendly comes down to a few factors: location, entertainment, and comfort and affordability. Location: I’m looking at a restaurant or attraction’s space, bathroom availability, and menus. Entertainment: Is this something the whole family will enjoy? Parents like to be entertained, too, you know! Comfort and Affordability: Do I have to worry about my kid breaking something? And will it break the bank?" So, ditch the kids’ menu, check out a museum, and spend some quality time engaging with your kids over things to do that you’ll both enjoy. 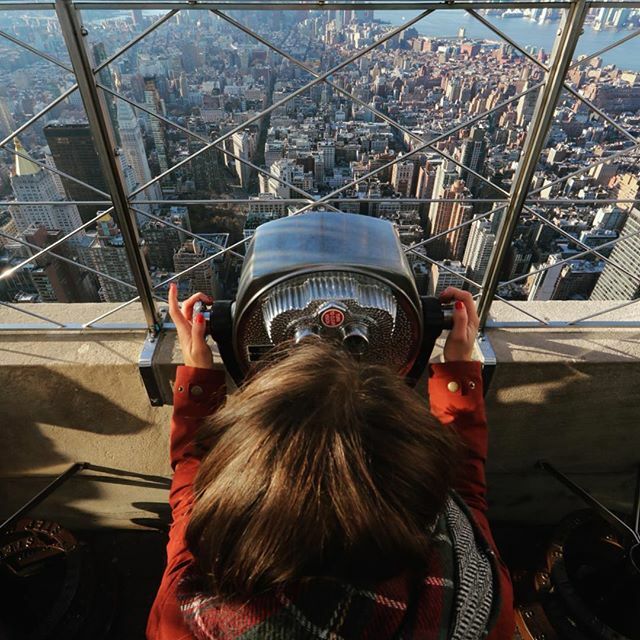 As one of the most iconic buildings in the world, it’s impossible to skip the Empire State Building on your trip to New York City. This is an experience that is truly perfect for the whole family. Go before 10am since the kids will be up anyway. Older kids will enjoy: Checking out the Observatory Experience app while sending high-altitude selfie snaps. Parents will love: Learning about the history, engineering, and construction of the building in the Dare to Dream exhibit. The stunning 360-degree open-air views are incredible. Where’s the food? : You can get your kid a pretzel as big as her head and grab yourself a flight of craft beer at the nearby Heartland Brewery. *Kids under 6 are free, but if you’re bringing little guys keep in mind that strollers need to be folded up before boarding the elevators to the observation deck. 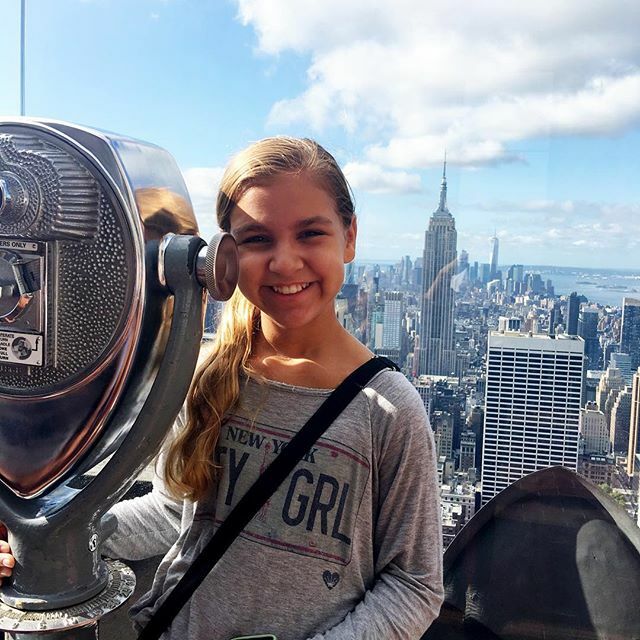 Not only does the Top of the Rock Observation Deck provide sweeping views of Manhattan and Central Park unlike any other, its location in the heart of Rockefeller Center also makes it ideal for shopping, dining and entertainment. With so much going on, every member of the family is sure to find something they enjoy. Kids will enjoy: Using the high-powered binoculars—just bring a bag of quarters and let them do their thing. Parents will love: Checking out the many art deco pieces integrated into the building’s design. You’ll feel like a part of modern pop culture while secretly really hoping for a photo-op with Tracy Morgan. Where’s the food? : The dining options at and around Rockefeller Center are practically endless. Just one step through the doors is enough to understand why the American Museum of Natural History is world-renowned. The museum’s thoughtful and engaging exhibitions are enough to spark scientific wonder in visitors of all ages. 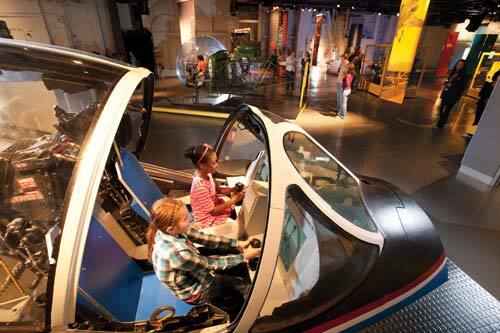 Kids will enjoy: Exercising their budding science brains in the interactive Discovery Room. They can also take the Night at the Museum Tour, which features the actual exhibits behind the characters from the movie. Parents will love: The larger than life animal exhibitions and experiencing a childlike sense of wonder about the world as they learn and re-learn alongside their children. Where’s the food? If you round out a day of bonding over dinosaur bones with a burger from the not-so-far-away Shake Shack, you win Parent of the Year. 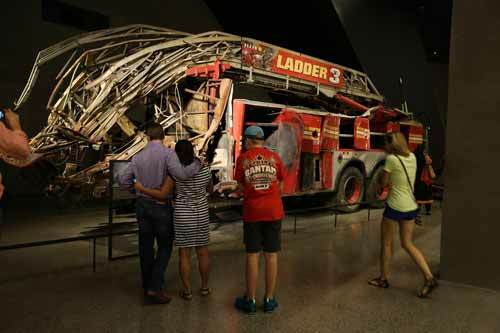 Although taking the family to the 9/11 Memorial & Museum might not be the expected course of action, it can certainly be a thought-provoking and rewarding one. Helping kids to connect history and current events is a great way for them to feel included and valued, and parents are likely to learn a thing or two themselves. Older kids will dig: Seeing in person the evidence of the events that happened when they were very young or have heard stories about. Parents will love: Sharing a piece of history that they vividly remember with their children and the opportunity for age appropriate entry points into history and current events. * Programs for younger children often take place on specific days, or need to be coordinated in advance. The Statue of Liberty and Ellis Island are practically synonymous with NYC. Planning a family trip to the city without visiting the American icon would be like riding a bike without wheels. 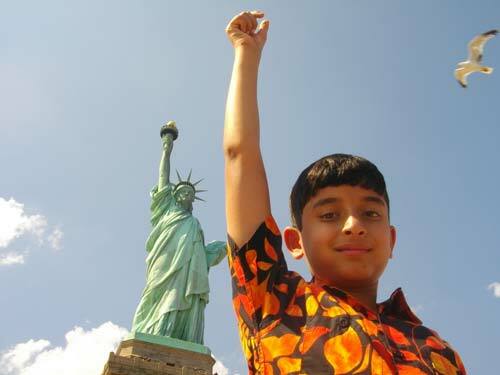 Kids will enjoy: The special children's audio tour detailing the immigrant experience at Ellis Island and, if you purchase crown tickets, climbing up to the top of the Statue of Liberty. Parents will love: Exploring their own family’s lineage and connection to Ellis Island. The spectacular view, and how ready for nap time kids are after climbing the 354 stairs to Lady Liberty’s crown, are bonuses. Spend the day exploring New York City’s most visited museum, pondering a wide variety of historic and contemporary works. Try setting the kids out on a mission to decide what their favorite piece, artist or style is as a way of introducing discussions about art and art history. Little kids will enjoy: The Nolen Library, which offers a wide array of picture books and read-alouds that pertain to the Met’s collection and the history of art. Older kids will enjoy: Using the Family Guides to learn more about specific themes and ideas in famous pieces throughout the museum. 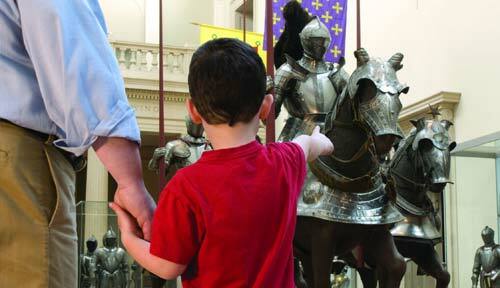 Parents will love: The opportunity to introduce and discuss art with their children. At least one of the Met’s many interesting and comprehensive exhibitions is also sure to catch your eye. Where’s the food? : Talk with your kids about your favorite exhibits over a pastry and a coffee (respectively) at the in-house café or soak up some sun at the seasonal rooftop bar. With many cruise options to choose from, including a “Best of NYC” and a “Harbor Lights Cruise,” it shouldn’t be difficult to find a boat ride with Circle Line that fits your family’s personality and your schedule. Kids will enjoy: Feeling like adventurers on the high sea. Parents will love: Exploring the city and identifying landmarks without moving a muscle, save for the graceful movement of sipping mimosas. Where’s the food? : Right onboard. And don’t forget the drinks, either. Once an active aircraft carrier, the Intrepid Sea, Air & Space Museum is now a national landmark dedicated to history, science and service. The interactive exhibits and original artifacts are enough to inspire any dreamer. Kids will enjoy: Checking out massive modes of transportation and earnestly conceptualizing their careers as future astronauts. Parents will love: Learning about mankind’s advancements and the discovery of new frontiers. Where’s the food? : The Intrepid marketplace offers soups, salads and sandwiches--including vegan and gluten-free options. Vending machines are available on deck for quick snacks. 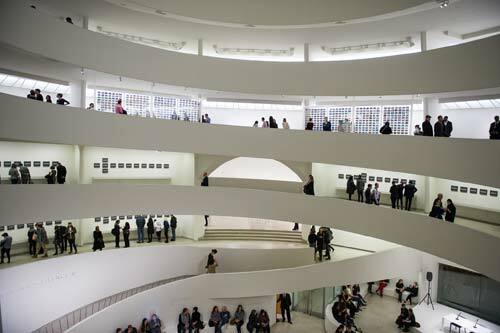 The extensive offerings for children and families at the Guggenheim is impressive and makes visiting a pleasure for young and old. 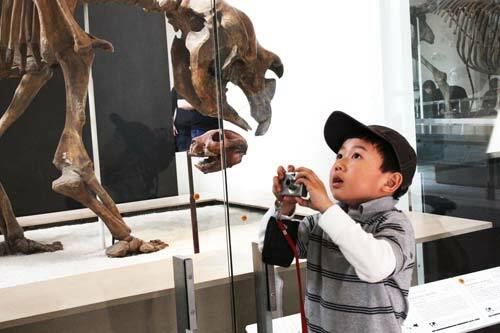 Be sure to check out the “For Families” section of their website before visiting for great tips on how to maximize your experience at the museum. Kids will enjoy: Exploring the quirks of Frank Lloyd Wright’s monument to modernism, inside and out, and strolling along the spiral walkway. Parents will love: The sense of pride they get watching their children behave like civilized humans in a rather adult-y place. Plus, you know, the energetic convergence of architecture and fine art. Where’s the food? : Try a bite or cocktail at The Wright café. Its interior doesn’t miss a beat when it comes to modern ambiance. 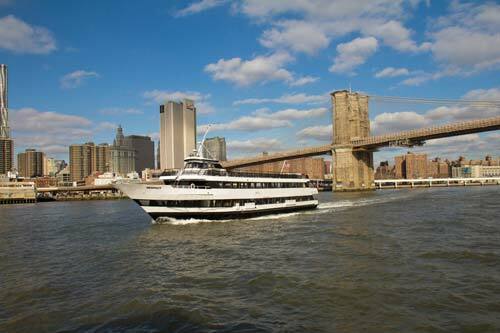 See the sights of Manhattan on this one-hour guided tour with Hornblower Cruises. Skip the ferries—and the lines—and get straight to soaking up the awesome sights from a totally new vantage point! Little kids will enjoy: Being on a boat! Older kids will enjoy: Documenting their journey in pictures. Parents will love: Seeing the city from an alternative perspective, and the convenience of seeing large portions of New York City from a fixed location, especially after a morning of walking. Where’s the food? : Right on board! It doesn’t get easier than that. Central Park is, well, central to NYC. In fact, it’s one of the most frequently visited and filmed urban parks in the United States. 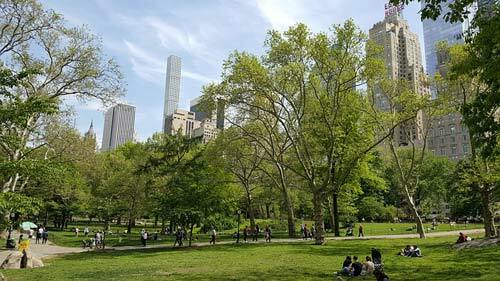 Ellen Schmidt says, "Central Park is the crown jewel of New York City, in my opinion. Did I mention it’s also home to 21 playgrounds? Whew! Download the Central Park app for a map of the park, which includes bathroom locations and places to eat." Set out on a leisurely walk and see what happens, or plan your day around the many available attractions—either way the park is a great way to spend the day with the family. Little kids will enjoy: The Central Park Zoo, ice skating in the winter, and driving tiny remote control boats at the Conservatory Water pond. Older kids will enjoy: Stumbling upon exciting live events and performances, right there in the park. They’ll also enjoy racing remote control boats with siblings. Parents will love: Taking in the natural sights and people-watching while strolling around, exploring one of the most well-known city parks in the world with the family. Where’s the food? : The Loeb Boathouse serves as a restaurant with formal dining on the inside and a bar and snack stand on the outside. Restaurants also line the park borders. 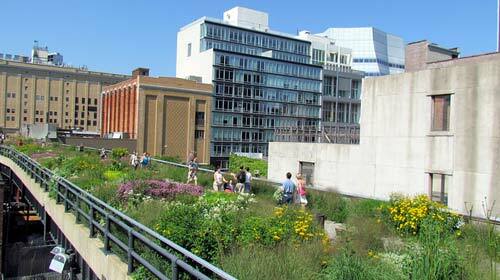 The High Line is a unique urban park, built on a repurposed section of an elevated railway line. Merge great views of Manhattan with the natural foliage of the garden, relax on oversized benches or try something new at a pop-up. Little kids will enjoy: Being high up in a garden -- like Jack on his beanstalk! Older kids will enjoy: The quirky art exhibits and sustainability models. Parents will love: The way art, nature, and the manmade structures overlap to create a unique public space. Taking a relaxing walk is something every member of the family can enjoy. Where’s the food? : While many vendors pop up throughout the year, Santina is open year round, and has a menu that highlights fresh vegetables and fish -- AKA food you can feel good feeding yourself and your littles. 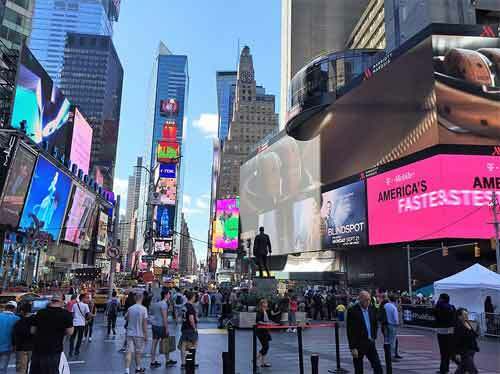 Home of Broadway and the historic New Year’s Eve ball drop, Times Square is the perfect place to dive right into the hustle and bustle of NYC. Entertainment abounds! Kids will enjoy: The lights, sounds, and sheer audacity of Times Square. Parents will love: Immersing themselves in a modern pop culture experience. The central location is ideal for shopping and eating and snapping an iconic family photo. Where’s the food? : One needn’t look far here. 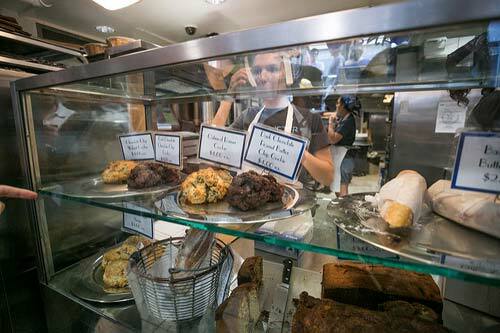 The Levain Bakery started with a mission between two friends to make the greatest chocolate chip cookie in the world. Make it your family’s mission to decide if they’ve succeeded. Kids will enjoy: Chowing down on freshly baked cookies, brioche, sticky buns, and breads. Parents will love: Actually, the same exact thing. Nintendo New York, located in Rockefeller Plaza, is the flagship store for the video game corporation…but you might prefer to call it a gamer’s paradise. 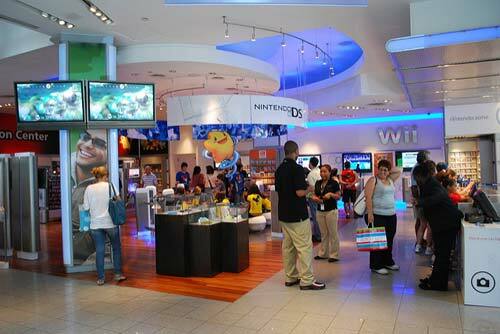 Kids will enjoy: Gaming like maniacs and checking out what’s up and coming in the Nintendo universe. Parents will love: The N64 nostalgia factor, and quite possibly schooling their kids in Super Mario Bros.